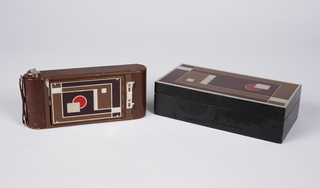 See more objects with the tag communication, timekeeping, modernism, recording, black and white, metal, numbers. This is a Clock. It was designed by Henry Dreyfuss. It is dated 1931 and we acquired it in 1999. 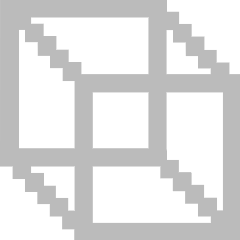 Its medium is cast metal, glass, blued steel (hands), printed paper. It is a part of the Product Design and Decorative Arts department. 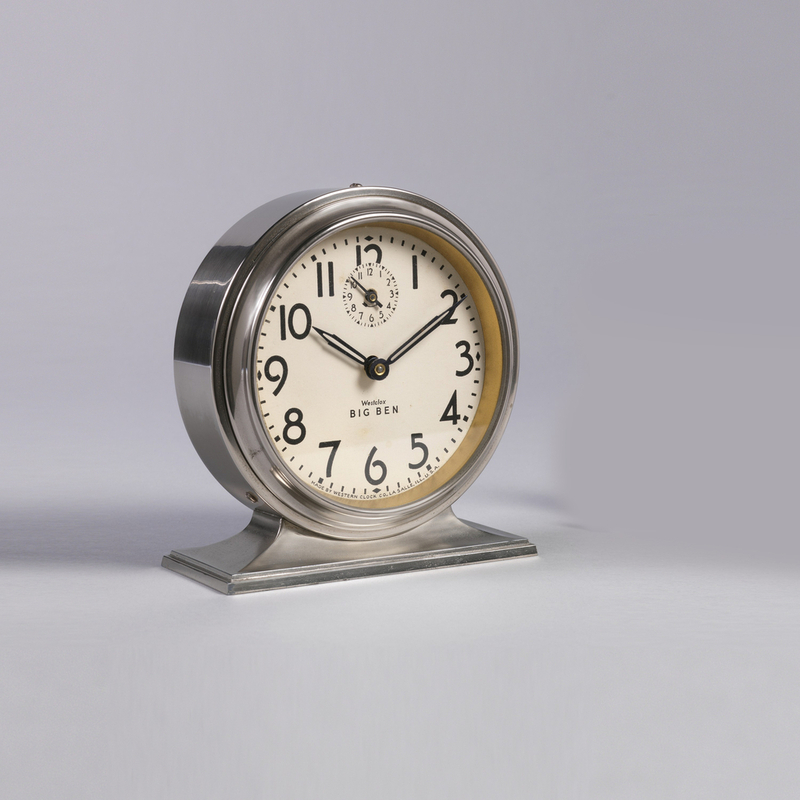 Around 1930, the Western Clock Co. (Westclox) hired emerging industrial designer Henry Dreyfuss to redesign its Big Ben alarm clock—which would become his first mass-produced design. 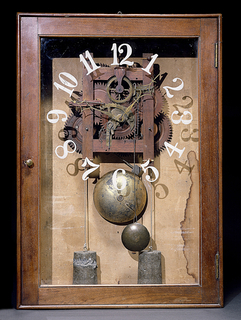 Dreyfuss studied the company’s manufacturing techniques at its Illinois factory and tested the existing Big Ben clocks and its competitors on his nightstand. Dreyfuss and his assistants produced over a hundred sketches, which he and Westclox representatives whittled down to two or three to be made into models, first of clay, then of wood. Finally, a design was chosen for manufacture. Throughout his long career, Dreyfuss was concerned with designing products that fit three basic criteria: a good product should be convenient to use, easy to maintain, and easy to manufacture. 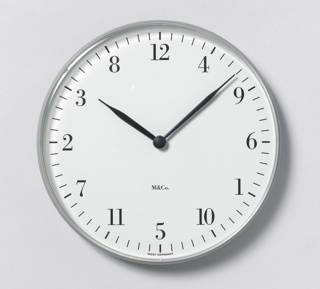 Changes from the previous Big Ben model to Dreyfuss’s include: shifting from serif to sans-serif typefaces and from slightly ornate to more streamlined minute and second hands, all of which eased legibility; setting the clock face closer to the glass, reducing shadows; and creating a slightly smaller form overall. The clock received a patent in 1931, but Dreyfuss would redesign the Big Ben again in 1939, continuing to trim and refine the form. This object was featured in our Object of the Day series in a post titled Making Handles Obvious.